Perhaps more than any other piece of furniture in your living room, the ottoman is a multitasker. Be it upholstered in leather, microfiber, fabric, or un-upholstered, they add comfort, coziness, and functionality to a family living space. Nothing says “someone enjoys spending time here” quite like an ottoman. 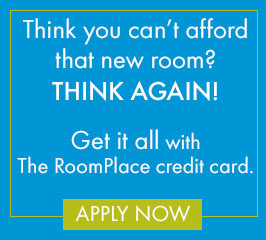 Visit The RoomPlace today! Uniquely, a good sized storage ottoman is a great fit in a large living room or a small studio. The bigger it is, the more stuff you can hide from view. The Sasha storage ottoman, available at the Roomplace, for example, is a cavernous 42″ wide, 21″ high” and 27″ deep. 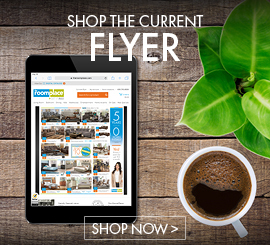 Books, clothes, pots and pans, cards, remote controls, lap tops, tools–it’s almost endless, the list of what might fit into one of these. And another good thing is that even a large ottoman can work well into almost any decor. Extra seating in a pinch is a hallmark of the ottoman. Ever had five people casually show up to your home, all to congregate around your coffee table? Ottoman to the rescue. You can easily sit an extra two or three people around your coffee table with a good sized ottoman. The fun thing is that when that happens, everyone will enjoy the close quarters much more than they may let on. Test it out for yourself– the next time you see a few people sitting together on an ottoman, pay closer attention and see if all of them aren’t smiling! I bet they will be. An ottoman for storage or extra seating is good but the multi-tasking ottoman has more tricks to offer. Coffee table, you ask? You bet. The wide, flat, smooth surface of a good-sized ottoman makes it a terrific surface to gather around for a casual cup of coffee, tea, snack, or TV dinner. And then, there is the “I can’t think of a better place to prop up these tired feet” ottoman.